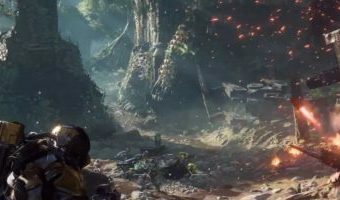 EA Files Matchmaking Patent; Could it Be Used for Anthem? Last year, Activision caught flack when it was revealed that the company had filed a patent that uses matchmaking to encourage players to push microtransactions. But it seems that Activision is not the only company researching new ways to increase microtransaction revenue, as new reports of a similar EA patent have caused concern. In September 2017, Electronic Arts was granted a new patent for a Multiplayer Video Game Matchmaking Optimization algorithm. The algorithm is called Engagement Optimized Matchmaking (EOMM) and aims to use matchmaking in order to keep players engaged in a game for longer. Playstyle, sportsmanship, skills, and a willingness to spend money are just some of the factors that this algorithm takes into account. Although the patent filing discusses engagement, many fans have raised eyebrows at this, saying that it is a way for EA to push players towards microtransactions. After all, a willingness to spend money has no bearing on a person’s engagement in a game … [Read more...] about EA Files Matchmaking Patent; Could it Be Used for Anthem?